Even if you have been paying into your retirement accounts for decades, your money might not go as far as you would like it to. In addition to many of the problems currently taking place with government programs, it is nearly impossible to predict exactly what the dollar will be worth in the future. This is why it is so vital for employees to save more than they think they will ever need during their retirement years. Here are a few steps you can take to ensure that your finances remain steady once you move onto the next stage of your life. When you finally become eligible for certain benefits such as Social Security, it can be very tempting to start accepting checks. Unless you absolutely need the money, you should keep your hands off of these accounts for as long as possible. This is especially important for your retirement accounts with the best interest rates. Many accounts even offer bonuses and benefits to those who do not withdraw anything until they are past the age of 70. 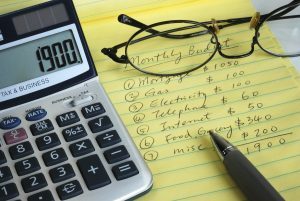 As soon as you are able to do so, you should begin coming up with a comprehensive list of fixed expenses you will have in the future. Luckily, this process is often much easier for retirees because many of their expenses remain relatively static throughout the years. You might even be able to begin putting money toward some of your living expenses such as a down payment for a retirement community. This is especially important if you plan on moving to a different location, such as going to Austin Texas to retire. Many companies offer huge incentives to those who sign contracts well before they plan on moving to the community. One of the biggest mistakes you can make is retiring while you still have major debt looming over your head. While a single monthly payment for a car or vacation home is generally not a big deal, you don’t want to walk out of your job with overwhelming credit card bills or student loans that you have cosigned for. Unless your retirement accounts are doing exceptionally well, it is generally a better idea to begin reducing your debt before you start saving your money. Married couples rarely take full advantage of all the benefits offered to them by the government and their jobs. Various strategies can be used to save quite a bit of money, but they are often extremely complex. For many couples, it is easier to speak with an investment banker or accountant to learn more about some of the programs they could be missing out on. You might also have additional options to maximize your insurance policies and reduce premiums during your retirement years. Few things will bring your finances to a grinding halt as quickly as touching the principal on any of your retirement accounts. As a general rule, most specialists suggest never touching the principal unless it is absolutely necessary. Instead, you can use the interest and returns as your “fun” money once you retire. During the first few years of your retirement, you should also try to reinvest your money back into your accounts whenever possible. Just because you have worked so hard to save all that money does not mean that this process is over. You will never be completely impervious to a financial disaster, but that doesn’t mean you can’t drastically reduce your risk of running out of money during your retirement years. Those who are still worried about their finances should speak with an experienced accountant to explore other options they have for saving some extra money while building a durable nest egg.